I had some more funds to play with this month. I was rather split with regards where to push my money. With the consistent drop in prices almost across the board on the London Stock Exchange there seemed a huge number of companies which were appealing. But in the end, instead of heading for a new holding I chose to top up an old one: HSBC. This global banking giant has continued to see it price struggle this year and I first initiated a position in it in May. Then I paid 627.2p per share. However, on 2 October 2014, thanks to the price drop I was able to pay only 618.77p per share. 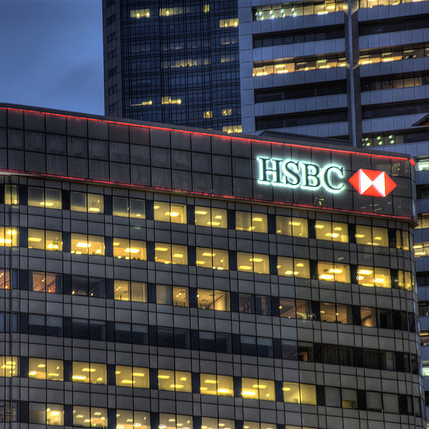 My confidence in the company and its prospects continues to be as strong as it was when I first bought into HSBC. It is high quality, well-managed well-diversified. As a result of the lower price and improving forecasts the P/E ratio has improved from 11.46 and 10.47 for this year and next when I first bought into HSBC to an even better 10.84 and 10.06. All in all this looks excellent. Analysts also expect an improving dividend payout for this year and next at 32.6p and 35.3p per share. This chucks out a yield on cost of 5.27% and 5.7%. Again, much higher than when I first bought into HSBC. Overall, I am delighted with this top-up purchase. What is particularly useful is that now my holding is large enough to reinvest further shares at each quarterly payment. This, as we all know, is critical for harnessing the power of compounding.